Carob (pronounced like: care-ob) powder is a chocolate substitute. Prior to trying it myself, I was convinced it was simply something used to make dog treats that look like chocolate but are suitable for dogs. I got this container at Whole Foods last year. It was about $5, and believe it... a little goes a long way. 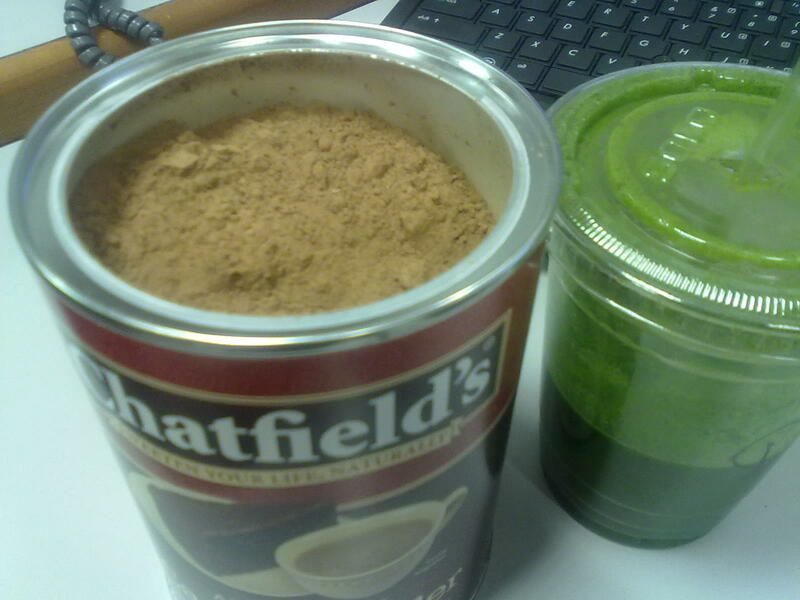 It is much sweeter than cocoa powder at about 20 calories and 3 grams of sugar per tablespoon. I will mention carob in a few of my future posts, so now you know what it is! yay for carob! i hope that by "mentioning carob" that means you will be posting some recipes. because i have a LARGE container that i need to start making some progress with. Sounds really good. Can this be used as a substitute for cocoa powder, or do you think you would have to be a little careful to account for the sweetness? Would be interesting to try and incorporate some into my cookie baking!